Leading household manufacturers had jointly decided to participate at the new international HOME APPLIANCES @ IFA 2008 fair taking place from August 29th to September 3rd this year in Berlin. Among them is Gorenje which will use the opportunity to present the numerous novelties and innovations that exceed the core requirement of convenience, topping it with innovative design and many original technical features that open up the space for new functionality. Thus, Gorenje remains faithfully dedicated to its vision of a design-minded household appliance manufacture whose innovative and technologically advanced solutions dictate new trends. At the IFA 2008 fair, the visitors will be invited to share the thrillingly innovative new approaches and stories. 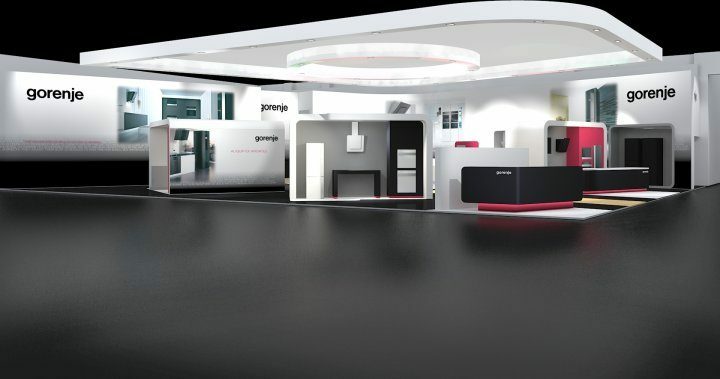 In Berlin, Gorenje Group will present a selection of novelties and achievements of the recent years on which they are particularly proud; their exhibition area, measuring over 500 square meters, will be located in Hall 1.1. The central feature presented at the fair will be the new generation of cooking appliances that will see its debut in Berlin. It is a comprehensive collection of kitchen appliances available in two designer lines; in addition to appealing design, both boast numerous new patent-protected innovative technical and user- and environment-friendly functional solutions that are bound to entice the future users. Also presented at the Berlin fair will be some interesting conceptual projects aimed at bringing the use of household appliances closer to the contemporary user and demonstrating how modern information technology makes the use of household appliances increasingly simple and fun – just the way tomorrow's users want it. Novelties will also include the trendy Gorenje Ora-Ïto Collection in white – the new tempting version of the Gorenje Ora-Ïto Black Collection which, launched a good year and a half ago, soon won the hearts of European users with the minimalist appearance typical of its designer. The cult Wallpaper magazine ranked it among the five best household appliances of the past year; this year, it also won the Plus X Award in the category of design. Gorenje's orientation towards the future is further supported by projects like Qube – a concept line of freestanding appliances that introduce a small revolution into contemporary residential interior design. Qube appliances excel with perfect ergonomics and attractive 'all-around' design which is an ideal concept for decorating open attics of old bourgeois houses, lofts, and originally redecorated apartments in defunct former industrial facilities, i.e. in settings that are not defined by walled spaces. Completely freestanding Qube appliances, combined with freestanding storage furniture, will create a floating kitchen anywhere in an open space of a contemporary home. They introduce a new culture of living and anticipate a maximum revolution of minimalism. These are only a few highlights from the Gorenje exhibition area at the IFA 2008 fair taking place from August 29th to September 3rd this year in Berlin. 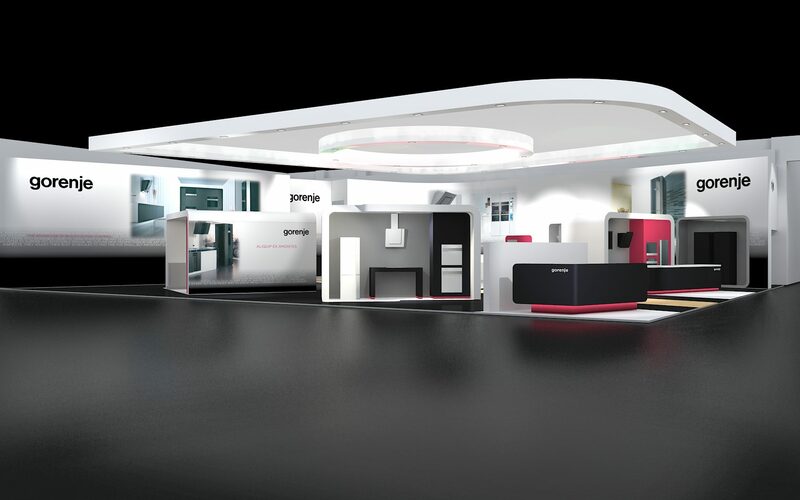 Gorenje shall await its visitors in the Hall 1.1, with numerous deliciously innovative stories. IFA is one of the largest consumer electronics fairs in the world. It combines the innovation and technologies of the future with business, sales, and entertainment. According to published statistics, over 1,200 companies from 32 countries exhibited at IFA 2007, covering a net space of more than 103,000 square meters. Over 6,600 press representatives attended the IFA 2007, including 1,371 international reporters from 62 countries. Sales at the 2007 show totaled at EUR 2.75 billion. The number of trade visitors attending the show in 2007 jumped by 7.5 percent to 101,358. Overall number of attendees jumped by 5 percent to a total of 223,000.